BI-LO Weekly Flyer February 13 - February 19, 2019. Valentine's Day Sale! 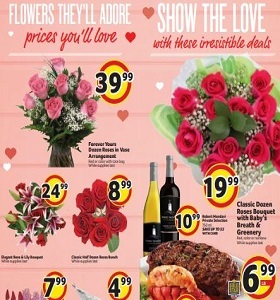 BI-LO Weekly Flyer February 13 – February 19, 2019. Valentine’s Day Sale! -10/$10 Knorr Pasta or Rice Sides; buy 1 get 1 free Blue Bunny Ice Cream. To see the weekly circular for your favorite BI-LO store, search by ZIP Code or city, state.